I didn’t finish my altar or Lent Madness. But here’s my summer reading list. I hope! I have a bad habit of announcing Things I Am About To Do for Faith At Home, then completely failing to let you know How They Went. Altars! I wrote a post asking for your ideas about a home prayer altar. You gave me lots of ideas. And then I never followed up to tell you what I did. Lent! I told you I was doing Lent Madness with my family. And then… radio silence. I’ll tell the truth: it’s because I am not proud of either of these efforts. 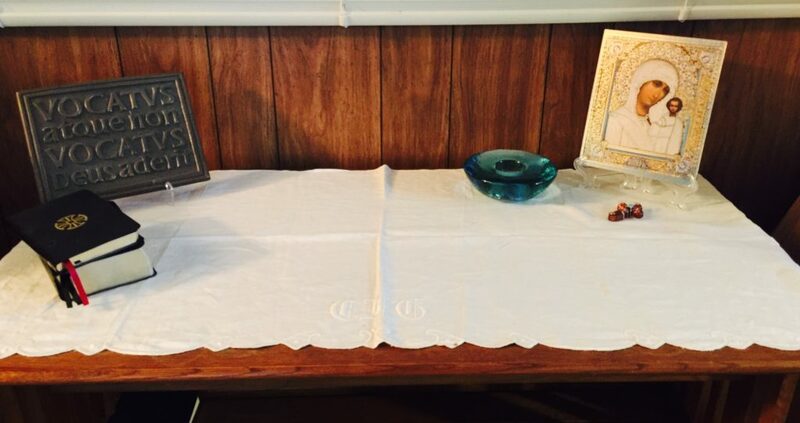 I walked around my house and figured out a spot for a prayer altar. I started to make one. It is almost finished. It has a plaque which says “Bidden or not bidden, God is present” (in Latin), an icon, a candle, a small cross from Arizona, and my prayerbooks: the Daily Office book, and St. Augustine’s Prayerbook (which I only recently discovered). All of it is on a recently retired coffee table (I bought it when I moved to Michigan in 1997, but it didn’t work in the house where we live now) covered with a cloth that was once my great-grandmother’s. And which needs to be ironed. But it hasn’t worked that way. I’m still not done, and it’s way past time to share the altar. I asked for your advice in January! It’s now more than halfway through May. Lent Madness was the same: we started strong. The first week, we all played. I won (and was delighted with myself). The second and third week we mostly played. By the middle of the third week we were no longer consistently sitting down to make our guesses. I have no idea who won Lent Madness at my house. It’s like the altar: we got started, but we never got done. Is halfway better than not at all? Maybe, and maybe not. I wish my altar were beautiful, with a snow white ironed cloth. 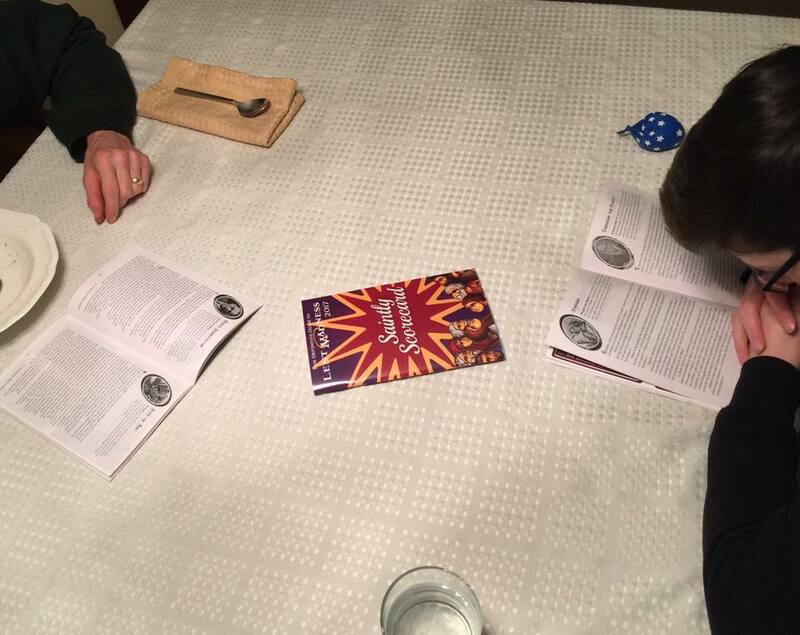 I wish my children had a memory of consistently playing Lent Madness in their teen and tween years – instead of the memory of Mom announcing a grand plan which petered out. But I am glad I have even a wrinkled place for prayer at home. And I am glad for the times my family sat and argued over which saint was best. These semi-failures make me reluctant to announce any more grand plans. So… I hope!… this is (some of) my summer reading list. This is my “faith at home” summer reading list, anyway. 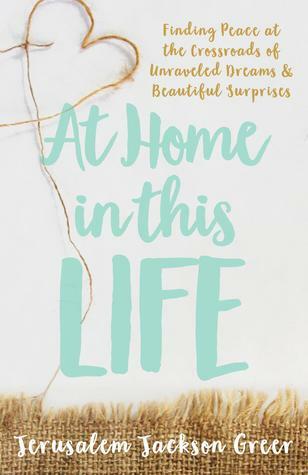 At Home in This Life, by Grow Christians author Jerusalem Greer, releasing next week! I’ve begun to read a pre-release version and it is wonderful. Jerusalem understands that sometimes the altar cloth doesn’t get ironed and the project doesn’t get finished, and you can still love God and be loved. 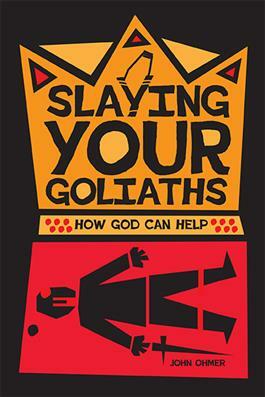 Slaying Your Goliaths: How God Can Help, by John Ohmer, is another book I keep hearing is really good. I definitely have some Goliaths in my life (witness: my life is too full for me to complete all the things I begin) and I am always looking for insight about how God can help. The Turquoise Table, by Kristin Schell, releasing June 6. A woman puts a picnic table on her front lawn and it changes her life and her neighborhood. I stumbled across this on the internet and it pulled me in. 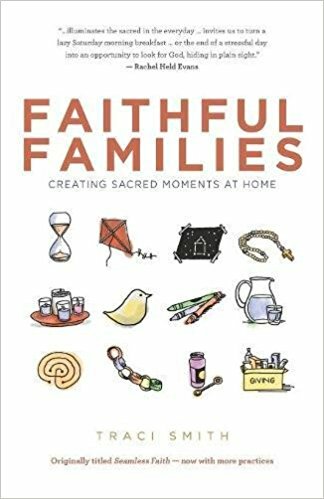 Faithful Families, by Traci Smith, just came out a couple of months ago. I keep hearing great things about this book and the author, a Presbyterian pastor. 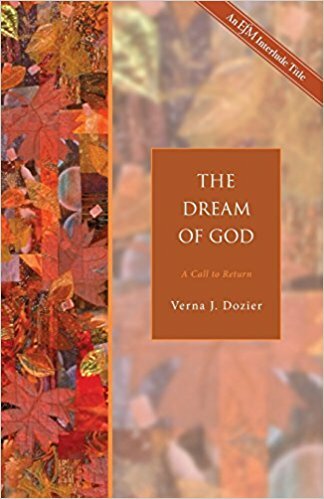 The Dream of God: A Call to Return, by Verna Dozier, is a classic in the Episcopal Church. Having become an Episcopalian fairly recently I have a lot of catching up to do. I hear so many good things about Verna Dozier, and I want to be able to quote her to my kids. She writes about the intersection of faith and justice. 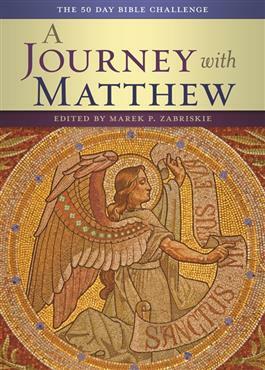 If I were making grand plans, I would be saying that my family and I are going to read the entire gospel of Matthew together this summer… which I would like to do… but I am hesitant to make grand plans. But maybe – just maybe – reading the beginning of Matthew together is better than not reading it at all? And – to make me feel better – what’s your latest unfinished faith at home project? You sound like me!! Sooooo human! I was a Lent Madness cheerleader at work, home, and play, in the past. Think I voted no more than 3 or 4 times this year:( And, your altar is just perfect, tho He never expects it. Doing my (your) best as I once reminded students, friends, associates…the best expectation. Thanks for the reading list…will try Turquoise Table in my front “yard” at my apartment. Thanks for the reassurance! 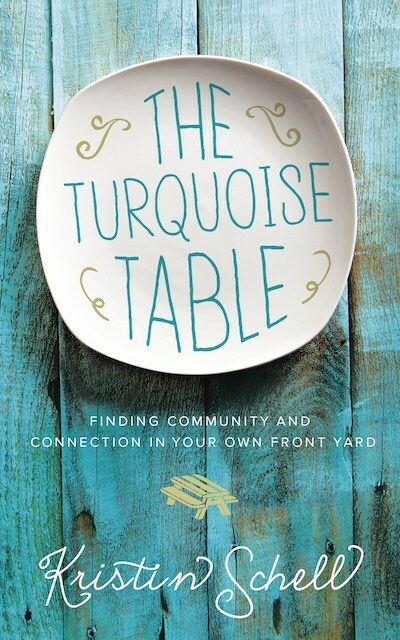 Curious to know the fruits of your Turquoise Table experiment. We have moved to a very small home with a “good room”, not big enough to be great but good-enough. My parents’ round oak table dominates the room and my dream is to have it always looking beautifully welcoming instead of the mess of multiple projects, mail, dog leash, etc!! Truly the story of my life, just like real life!! Your reading list is inspiring and I hope to read at least one!! Let’s try to enjoy this amazing journey called life, ironed or not!!!! Many thanks for your inspiring writings!! I think your comment got cut off because it ends with a comma! I would love to read what comes next. I think we must be sisters under the skin. For yezrs, I was the gal that could always do everything. My husband and I are both deaf and he had polio, so he used braces and crutches to walk. This meant that I had to do the heavy stuff. We had three children in five years, one multiply handicapped. When the youngest was in all-day school, I went back to work. My husband worked too. Weekends we were the perfect family…canning garden stuff in Summer, me sewing the kids’ clothes, always a full cookie jar, all that sort of thing. Then my husband got a job offer in another state. We packed up our three teens and our cat, rented a U Haul van, moved ourselves from a 12 room house to a 6 room house with all that means, and settled in to a new state and big city living. After getting the kids into appropriate schools, I looked for and found a job. We began making a life in a new home. Then after a couple of years I became allergic to some stuff in the lab. No more lab work. Voc Rehab sent me to computer school to learn programming and I got a job in a law firm, a huge one. Years passed. Older son died from his handicaps. Daughter got married. Younger son joined the Navy. And God kept chasing me and saying, “I want you to be a priest. I need more priests for the deaf.” I kept saying, “No, please no. I’m too old to go back to school with kids the age of my kids. I’ve worked so hard and now is time for my husband and me to relax, travel, enjoy your world.” Of course God won the argument. Reluctantly, I went to see the Bishop, an old friend. I ended up going to sign up for enrollment at a local seminary (Baptist, because they specialized in preparing pastors for minority group ministry, and the deaf community is a minority group) and signing up for a full time program leading to a M.Div. degree…while still working full time in the law office. Most of my classmates were also employed full time. Most of us were pursuing a call to a second or third career. So, for the next three years, I got up at four a.m., dressed and ate breakfast, caught a bus to the transport hub, changed to another bus to seminary, went to a class, took a commuter train to center city, went to work, caught another commuter train back to seminary, went to another class or two, caught a bus to the transport hub, changed to another bus, got home around 11, and studied for an hour or two before collapsing into bed. I got used to praying my Office and to studying on buses, grabbing a sandwich to eat on the train, and generally doing everything on the run. Weekends provided more study time. I also attended summer classes, and used the summers for my parish assignments and clinical work. About a month into middle year, the Bishop asked if I was willing to be ordained deacon NOW. The priest at our Episcopal parish for the deaf was ill and was going to have surgery. He would need to have a light schedule for several months, and needed ordained help. So I was ordained to the diaconate halfway through seminary. I led Morning Prayer for several Sundays, did most of the pastoral visiting and home Communions, spent some time in the office trying to keep stacks of paper in some order so they would be ready for the vicar’s return, and tried to provide pastoral counselling as needed…and worked at the law office, and went to class. When the vicar returned he gradually worked himself back to normal but I continued the home Communions and part of the pastoral calls. During the summer following my middle year in seminary, I was assigned to be a chaplain-in-training at a psychiatric center which had a ward for deaf patients…the entire staff of that ward had learned sign language, and the social worker was also a certified interpreter. I found it fascinating and fulfilling. I was expected to read some books on clinical psychology which helped me understand the patient’s needs. About half of the patients had drug problems and that was also valuable for me to learn about. After my final year at seminary, during which I was still doing parish work and chapliancy, I was ordained priest and called to be vicar of a parish of deaf folks in upstate New York. It consisted of a dozen or so tiny congregations (anywhere from to 30 people each) scattered over three dioceses, and I visited each congregation twice a month to celebrate the Eucharist, make pastoral visits, take Communion to the house bound, and generally be a presence for the Lord. I also taught Sunday School on a weekday at the regional school for the deaf and spent much time advocating for handicapped folks and their needs. After 30 years, I retired…and all of a sudden, my strictly organized life became completely disorganized. It still is, although now I am a full time caregiver and housewife. I still do occasional pulpit-and-altar supply, and advocacy,and occasional counselling. But leisure? I am even busier than before, and I have become a doting great-grandma into the bargain. And I’m one happy person. I would never have the nerve to complain about being too busy again. And the best thing is that all of the busy-ness was life and God related. Of course, one could say that about anything, but I hesitate to use these words to describe watching tv 12 hours a day. But, maybe it could be, in the right circumstances. I think there are a lot of people who are just like you. I know several, and I am also. I like the idea, though, that it is better to have started and not finished than not to have started at all. I think that falls under the idea and truth “that no energy is lost”. I so enjoy your (and the other writers,also) words and inspiring thoughts. Thanks so very much. It means such a great deal. I hope the Rev. Virginia finishes her comment. I think I will have to pray for her. I thought I was busy until I read Rev. Virginia’s story! I appreciate the kind words and encouragement. Your altar is lovely. I believe its finished. The “emoty center” is the place where you put your prayers. 😊 Pax! After looking at it this way for a few months I am starting to think it might be finished too… at least, as finished as I am going to get it in this phase of life!